Editor’s notes: When this post was first published, the linked file with historical rates and volumes for the three Treasury repo rates had some minor errors. The data and related charts and table have been corrected. (May 17, 2018). Separately, this post originally stated that the three-month geometric averages of the benchmarks were calculated using the same methodology as OIS contracts. This is not the case, and the actual methodology is explained in the data file accompanying this post. These changes did not alter the authors’ conclusions. (March 19, 2019). 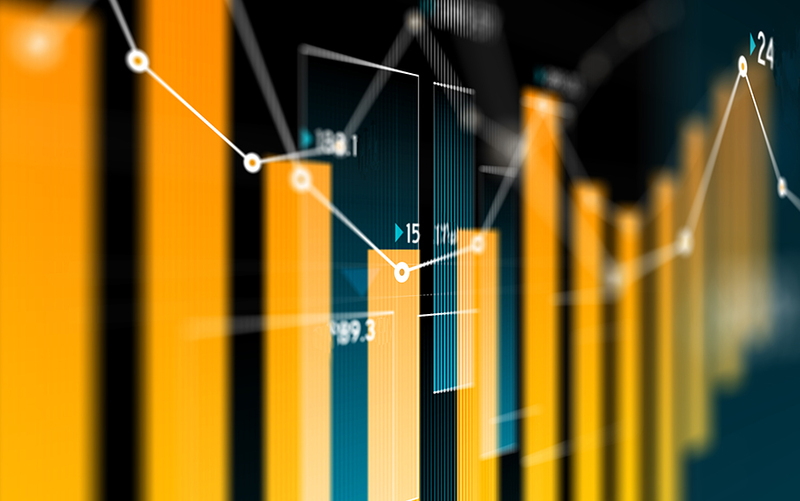 Data: An expanded sample of rate and volume data for the Tri-Party General Collateral Rate, Broad General Collateral Rate, and Secured Overnight Financing Rate (2014-2018) is available here. The Federal Reserve Bank of New York, in cooperation with the Office of Financial Research, is proposing to publish three new overnight Treasury repurchase (repo) benchmark rates. Recently, the Federal Reserve decided to modify the construction of the broadest proposed benchmark rate (the other two proposed rates are expected to remain unchanged; see the Bank’s announcement on May 24). In this post, we describe the changes to this rate in further detail. We compare this revised rate to the originally proposed benchmark rate and show that, in the post-liftoff period, it trades higher, on average. The previously proposed benchmark rates were based on repo transactions that settle on the tri-party repo settlement platform. The first rate would only include transactions in the tri-party repo market, excluding both General Collateral Finance Repo Service, or GCF Repo®, transactions and Federal Reserve transactions. The second rate would build on the first by including GCF Repo trading activity while still excluding Federal Reserve transactions. Finally, the third rate would have built on the second by including Federal Reserve transactions. The revised third benchmark rate discussed in this blog post, which is a broad Treasuries financing rate, uses the data included in the second rate—which excludes Federal Reserve transactions— but also includes bilaterally settled Treasury repo transactions cleared by the Fixed Income Clearing Corporation (FICC). The FICC-cleared bilateral market is a subset of the broader bilateral market, consisting of bilateral repo transactions collateralized by Treasury securities for which both parties to the trade are FICC netting members. The majority of netting members are broker-dealers, so the FICC-cleared bilateral market mostly consists of trades among dealers, as opposed to trades between dealers and their clients. The inclusion of these cleared bilateral repo data in the broad Treasuries financing rate should make the rate more robust to potential market changes and will increase the overall volume of transactions underlying the rate. Between early 2014 and mid-2016, the FICC-cleared bilateral market accounted for a daily average of approximately $430 billion in same-day settling overnight Treasury repo transactions. More recently, from mid-2016 through April 2017, the aggregate volume in the FICC-cleared bilateral market increased to a daily average of $530 billion. This increase in volume can partially be attributed to structural changes in other market segments. As with the broader bilateral market, not all transactions cleared by the FICC are general collateral (GC). Rather, transactions can be divided into two types: (1) those motivated by the need to invest cash (and that can therefore be considered GC), and (2) those motivated by a desire to acquire specific Treasury issues, referred to as specials transactions. Ideally, for the revised benchmark rate, one would want to include the former type of transaction and not the latter; however, it is difficult to discern the underlying motivation for a transaction. As a result, the broadest proposed benchmark rate will no longer be a strictly GC rate. Nevertheless, the New York Fed plans to trim the data to reduce the impact of specials activity, leaving the rate more reflective of GC activity. The New York Fed considered several potential approaches to do so. The two methods that seemed most promising were (1) removing all transactions collateralized by on-the-run and first off-the-run securities (for more discussion, see FEDS Notes), and (2) removing all transactions with a rate below a certain threshold, given that rates on specials transactions are typically below rates on GC trades (because market participants are willing to accept a lower rate of return on their cash in order to borrow a specific security). After analyzing the merits of these approaches, the New York Fed intends to remove all bilateral transactions with rates below the 25th volume-weighted percentile rate from the rate calculation each day. The volume-weighted percentile rate is calculated in a similar manner to the volume-weighted median rate; it is the rate at which the cumulative percent of aggregate volume traded during a given day is equal or greater than the chosen percentile. Analysis of various volume-weighted percentile thresholds revealed that excluding all activity trading below the 25th percentile rate struck a balance between removing the largest number of specials transactions and maintaining robust volume to use in calculating a rate. The chart below provides a representative depiction of how the trimming methodology would remove transactions below the 25th volume-weighted percentile rate, using the average daily distribution of volume, over a two-month period. The net effect of the changes in the composition of the broad Treasuries financing rate—adding the trimmed bilateral repo data and removing Federal Reserve transactions—is an increase in the daily volume underlying the rate of approximately $240 billion a day. Outside of quarter-ends, the changes also increase the broad Treasuries financing rate by approximately 6 basis points, on average, since December 2015 (see chart below). The standard deviation of daily changes in the volume-weighted median spread to interest on excess reserves (IOER) also increases under the revised broad Treasuries financing rate, from 2 to 3 basis points in the post-liftoff period, excluding quarter-ends. The spread between the original and the revised rates increases more significantly on quarter-end dates, as the revised rate no longer tracks the Federal Reserve’s Overnight Reverse Repurchase Facility offering rate, which is generally below other market repo rates on these dates. The relationship between the narrow GC repo rate (first benchmark rate) and the broad GC repo rate (second benchmark rate) has already been discussed in the prior blog post that introduced the originally proposed rates. Here we examine how these two rates compare with the newly revised broad Treasuries financing rate. We do so by comparing how the three rates would have behaved over time relative to IOER, which constitutes the top of the FOMC’s target range for the effective federal funds rate. Since August 2014, excluding quarter-ends, the spread of the revised rate to IOER is, on average, 4 basis points narrower than the spread of both the narrow GC repo rate and the broad GC repo rate (see the table below). Note that all three rates have a larger spread to IOER than the GCF Repo Index. The new rate also reflects much larger aggregate transaction volume, more than double the volume of both the narrow and the broad GC repo rates. On quarter-end dates, the broad Treasuries financing rate is 16 and 15 basis points higher than the narrow GC repo rate and the broad GC repo rate respectively. This increased spread on quarter-ends can partially be attributed to the wider rate distribution and upward pressure on rates in the FICC-cleared bilateral repo market on these dates compared to non-quarter-end dates. For those interested in further analyzing the data, both the total volume and volume-weighted median rate for each proposed benchmark are available through the end of April 2017. Although these three rates are somewhat volatile on quarter ends, it is worth noting that most of this volatility is smoothed over any given quarter. For example, as the chart above shows, the moving quarterly geometric averages for each rate exhibit relatively low volatility. Kathryn Bayeux is a senior analyst in the Federal Reserve Bank of New York’s Markets Group. Alyssa Cambron is a manager in the Bank’s Market’s Group. Marco Cipriani is an officer in the Bank’s Research and Statistics Group. Adam Copeland is an officer in the Bank’s Research and Statistics Group. Scott Sherman is an assistant vice president in the Bank’s Market’s Group. Brett Solimine is a senior analyst in the Bank’s Markets Group. Kathryn Bayeux, Alyssa Cambron, Marco Cipriani, Adam Copeland, Scott Sherman, and Brett Solimine, “Introducing the Revised Broad Treasuries Financing Rate,” Federal Reserve Bank of New York Liberty Street Economics (blog), June 19, 2017, http://libertystreeteconomics.newyorkfed.org/2017/06/introducing-the-revised-broad-treasuries-financing-rate.html. Thank you for your question on the blog post. I would first like to note that the broad Treasuries financing rate (the broadest of the 3 rates proposed) is the one that the ARRC chose as an alternative to LIBOR. Further, the data underlying the last figure is already compounded on a 3-month basis. Creating a viable term structure for the proposed rates is currently being discussed by ARRC members, and further information will be available over time. Please let us know if you have any further questions. Hi - quick question. I was trying to compare the Broad GC repo rate to 3-month LIBOR. At a recent conference, it was suggested that you would use the compounded daily rate. I tried this with the data underlying the last chart and that did not appear to work very well. Do you have a 3-month figure for the Broad GC repo rate or could you suggest how I would calculate it?